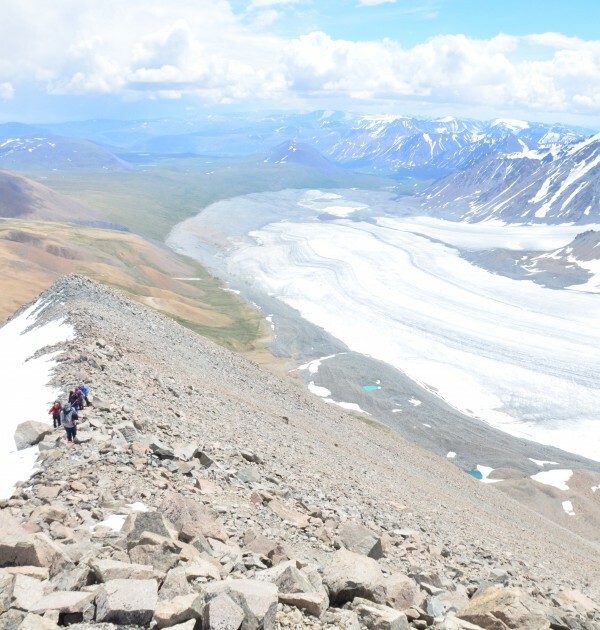 This is a journey to the wild and remote land of Mongolia’s Altai Tavan Bogd mountains which straddle the border with Russia and China in the far west of the country. 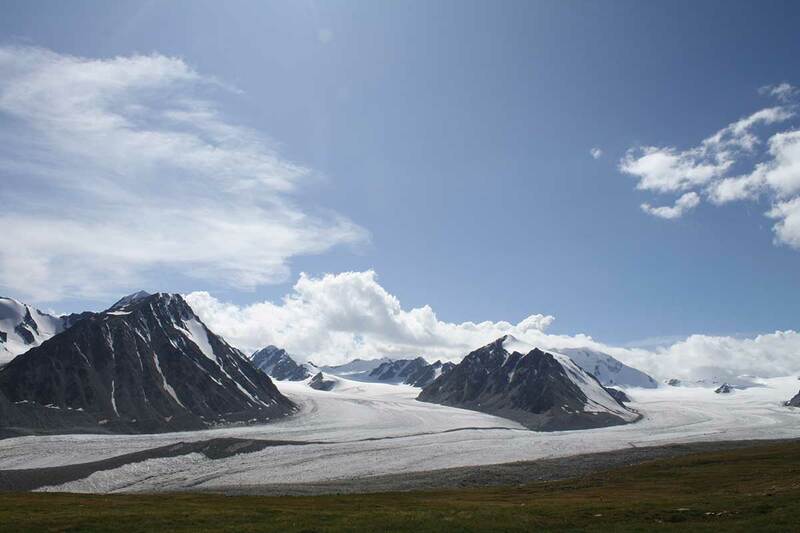 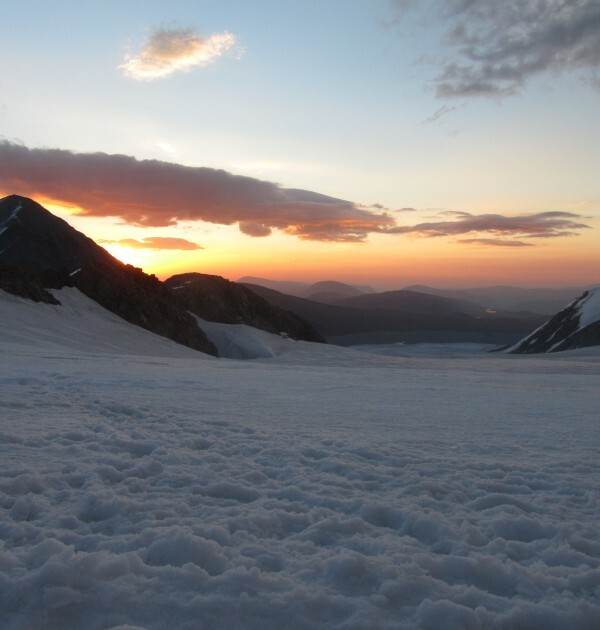 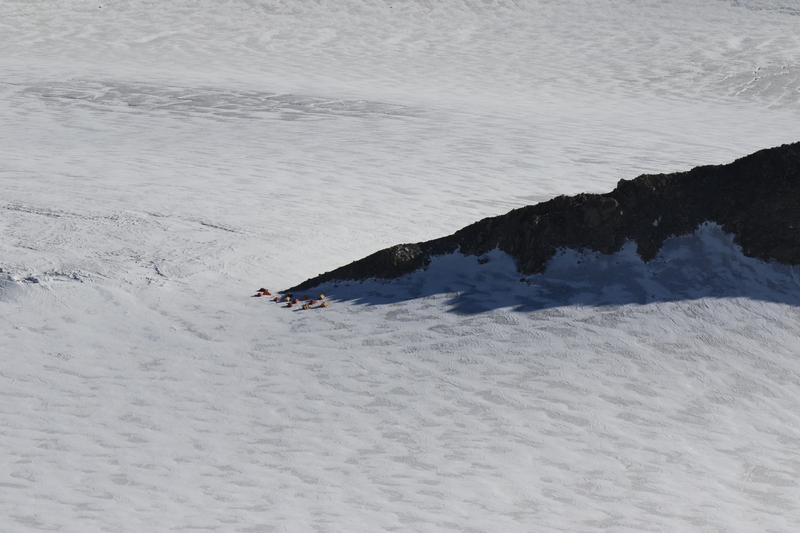 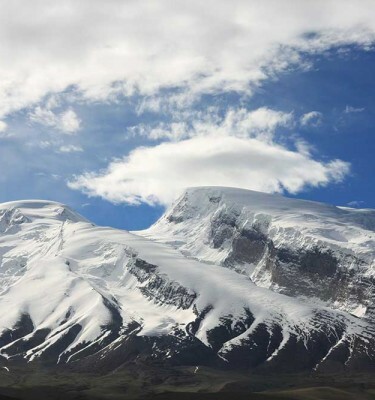 The country’s highest snow capped peaks lead down to lush alpine pastures which stretch out towards the Gobi Desert. 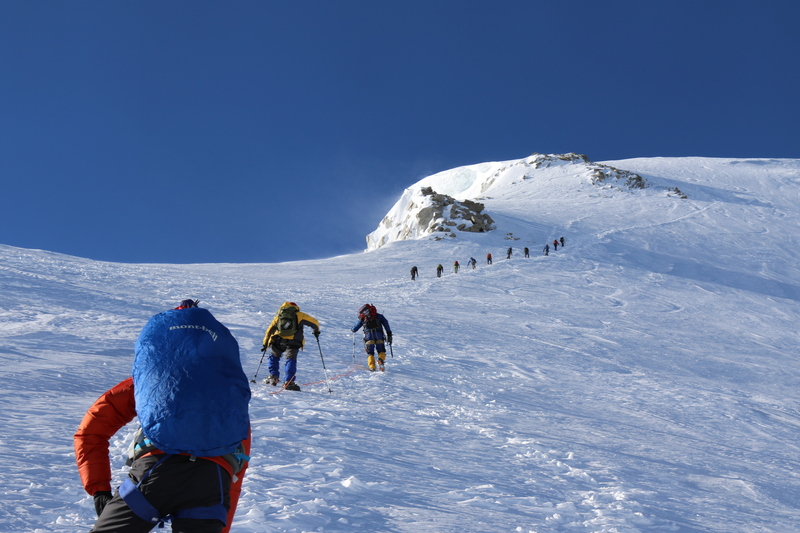 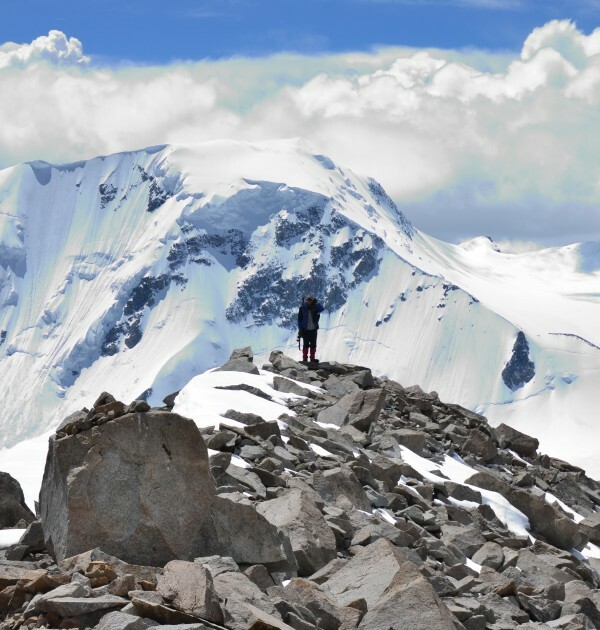 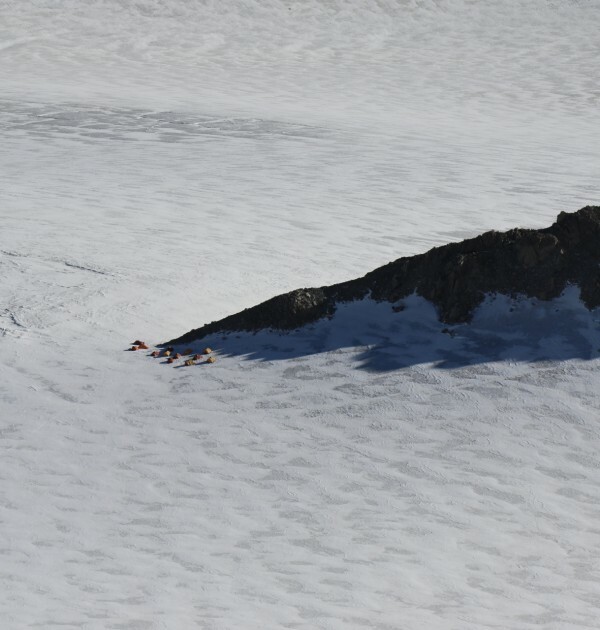 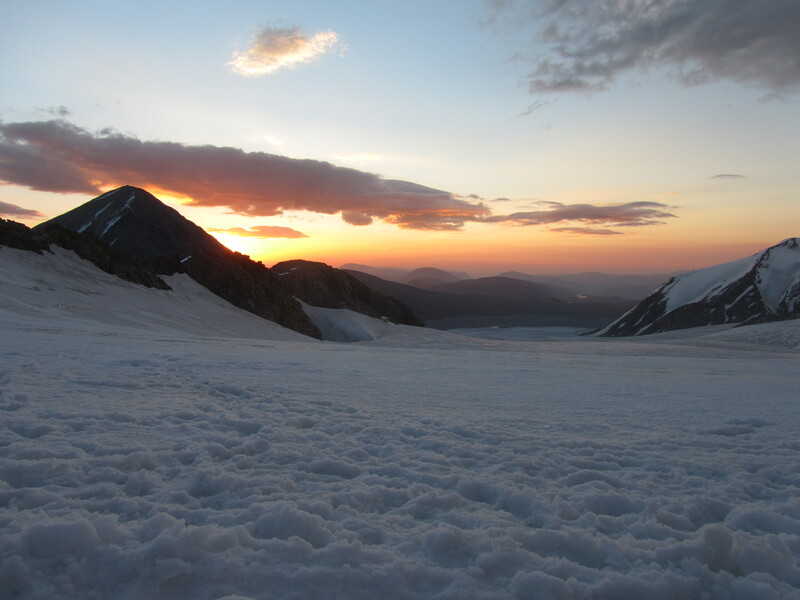 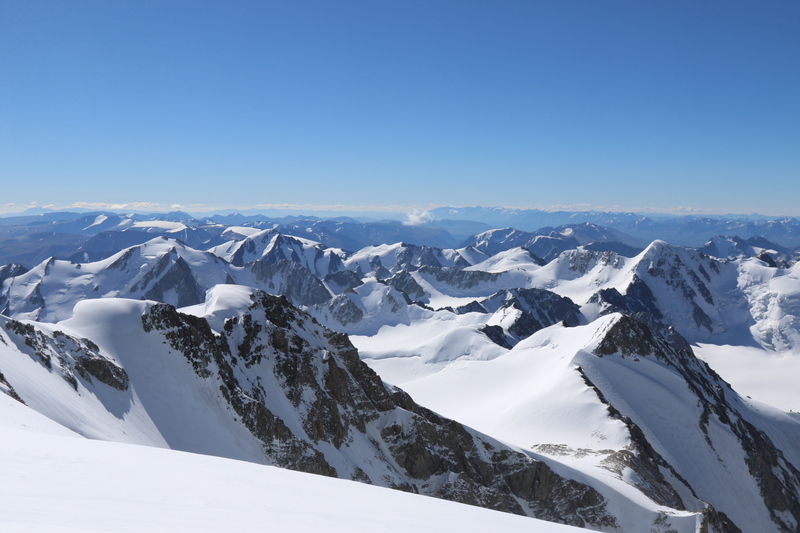 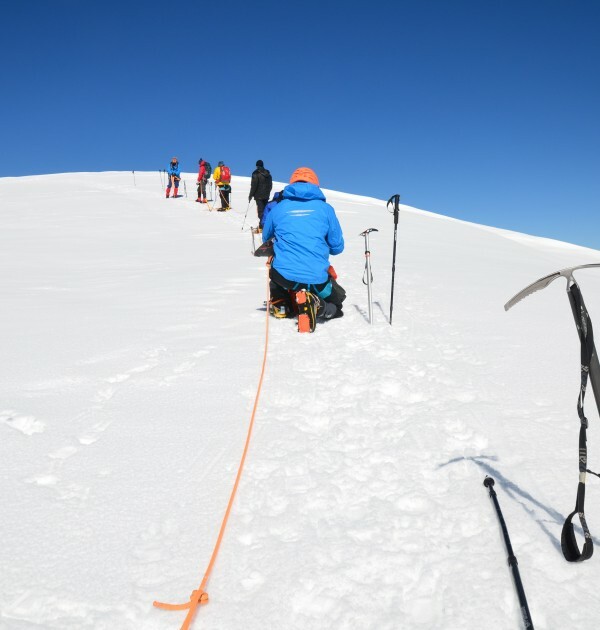 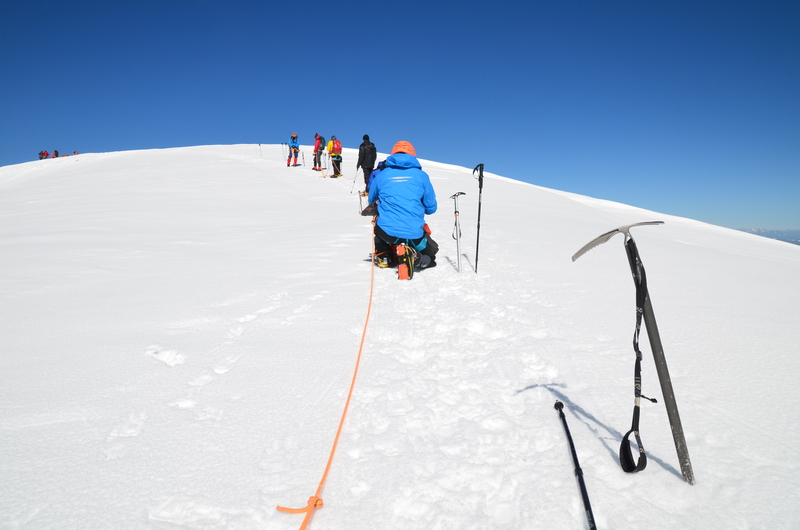 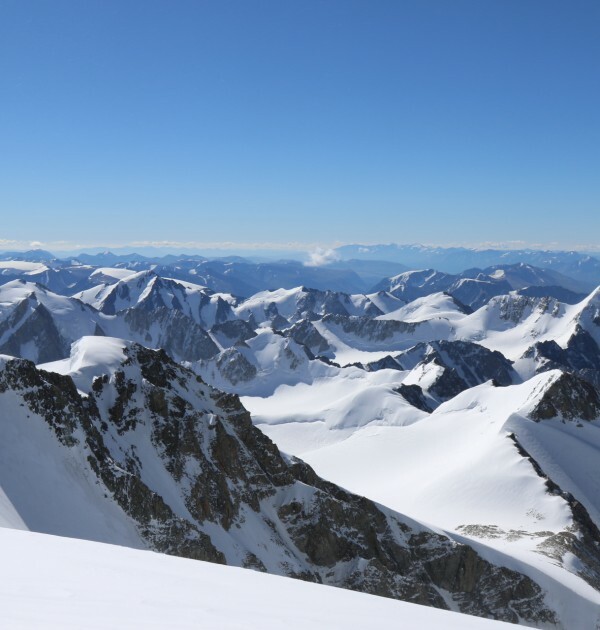 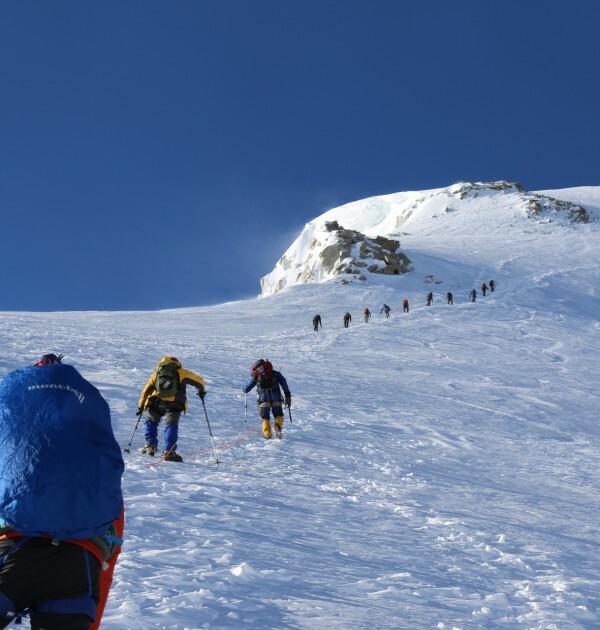 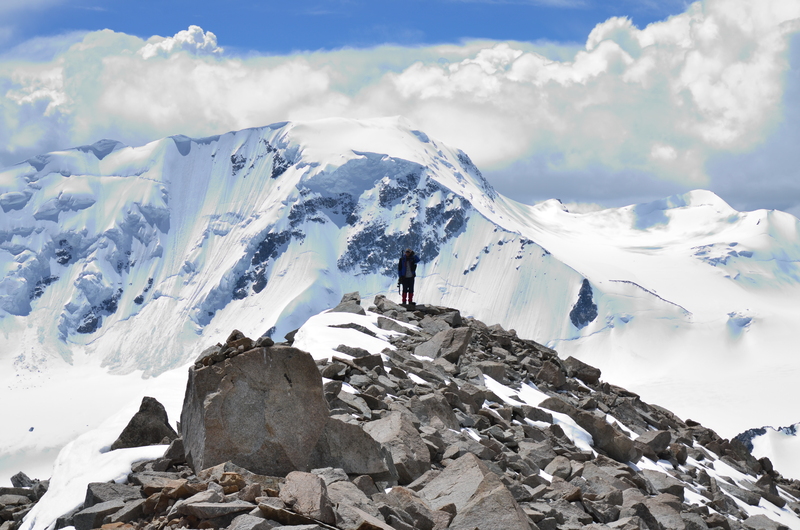 Our itinerary sets out to climb three of its remote summits including: Mt Khuiten (4374m) Mongolia’s highest peak, Mt Nairamdal (4180m) and Mt Malchin (4037m). 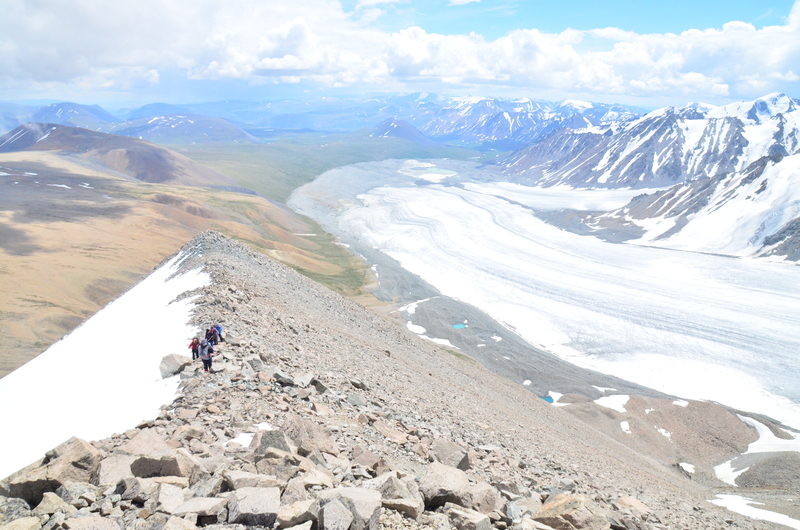 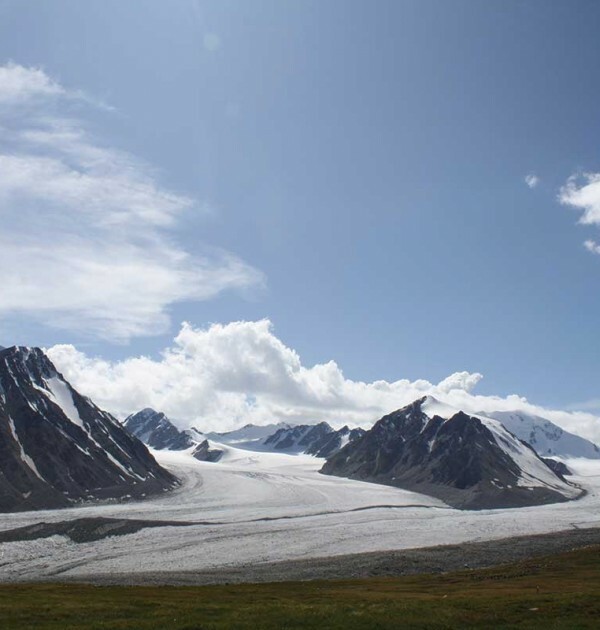 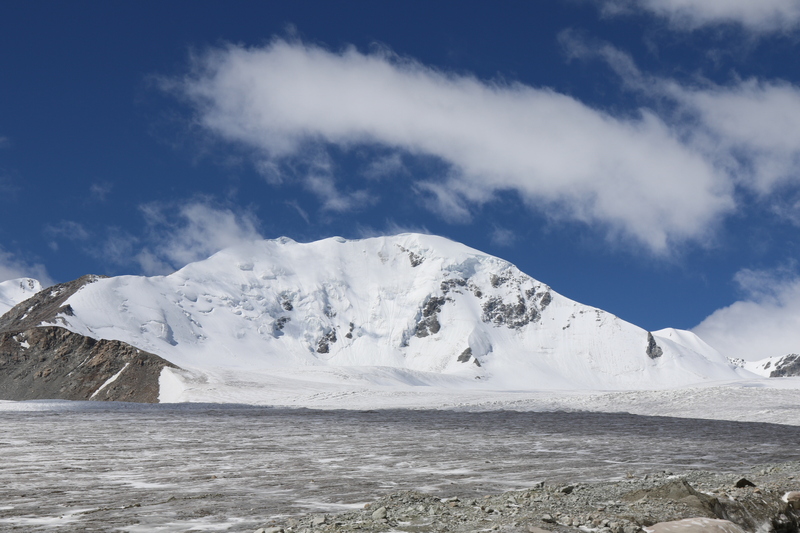 Mongolia’s longest glacier, the Potanin glacier, stretches for 19km from the eastern face of Mt Khuiten. 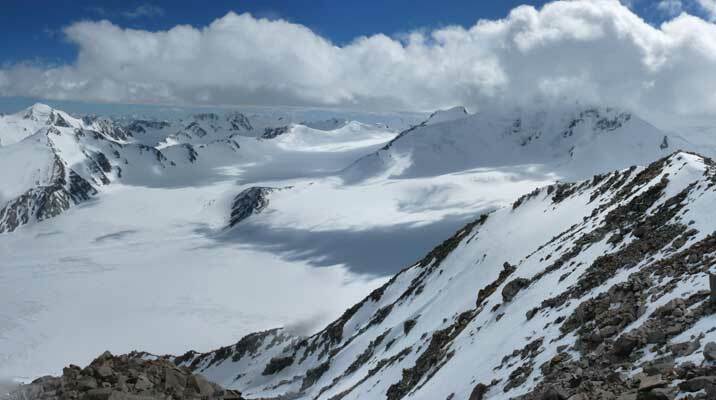 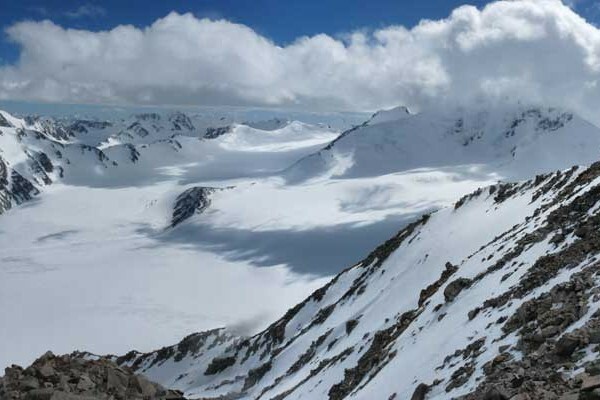 The summit of Mt Khuiten affords spectacular views down into Russia and China. 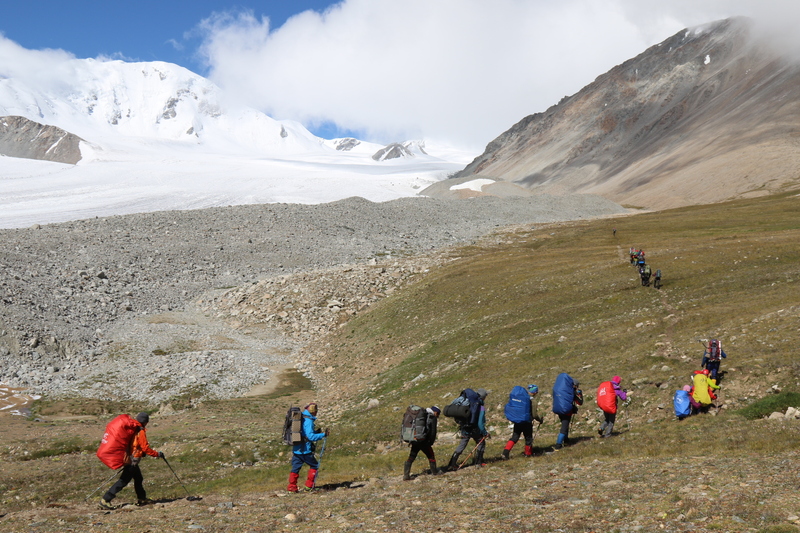 We will be supported by local Tuvan herders as our camel drivers and porters, who will share their culture and traditions on the expedition. 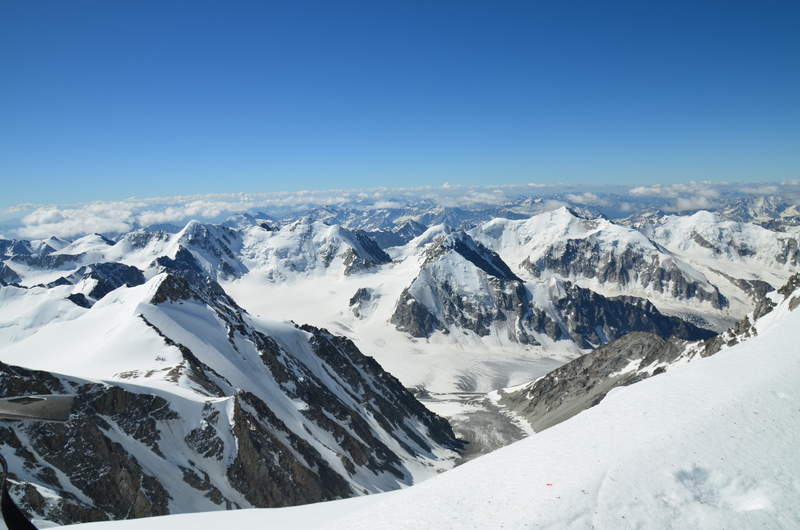 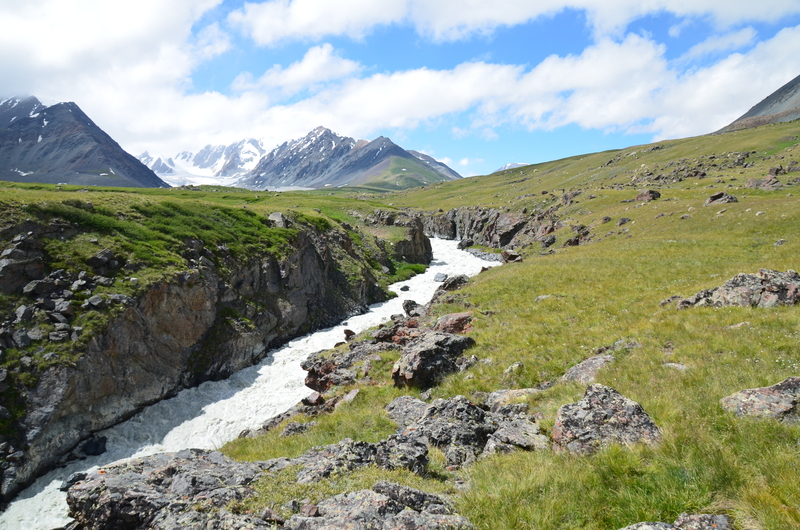 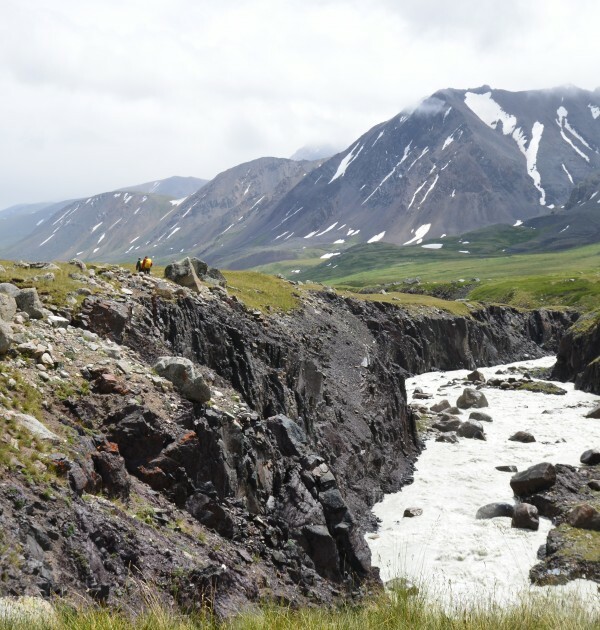 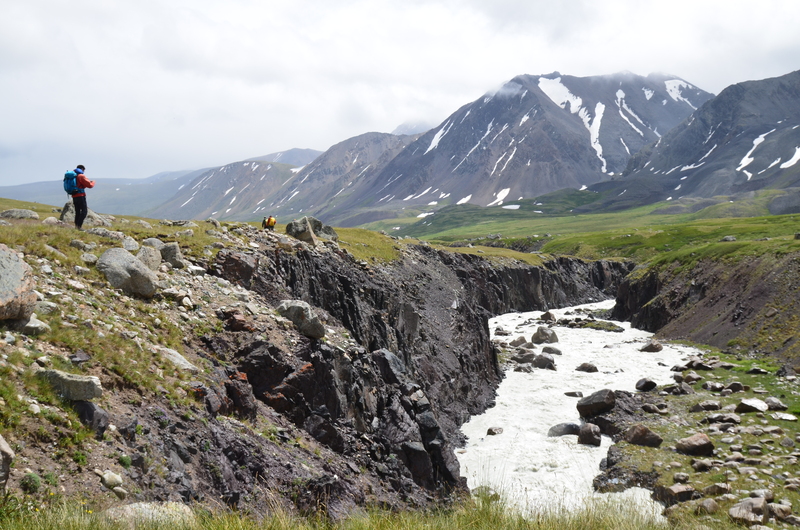 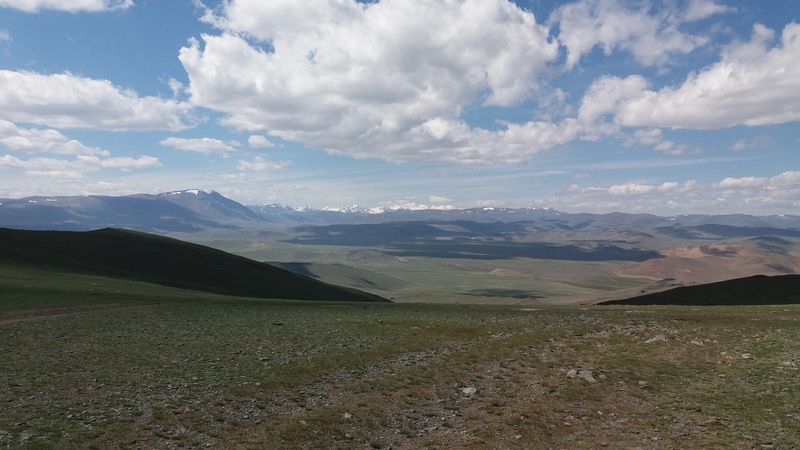 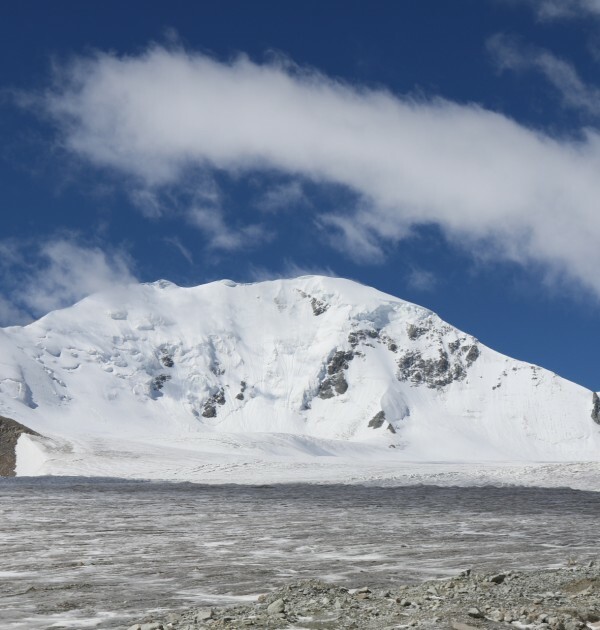 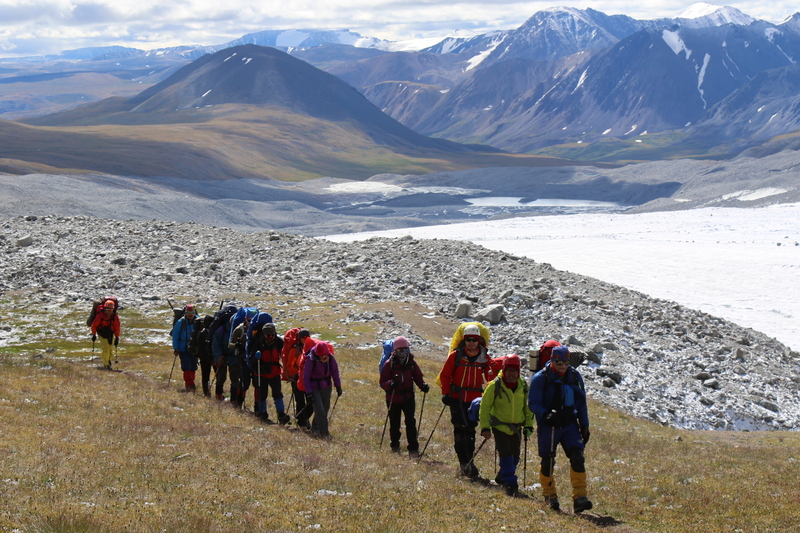 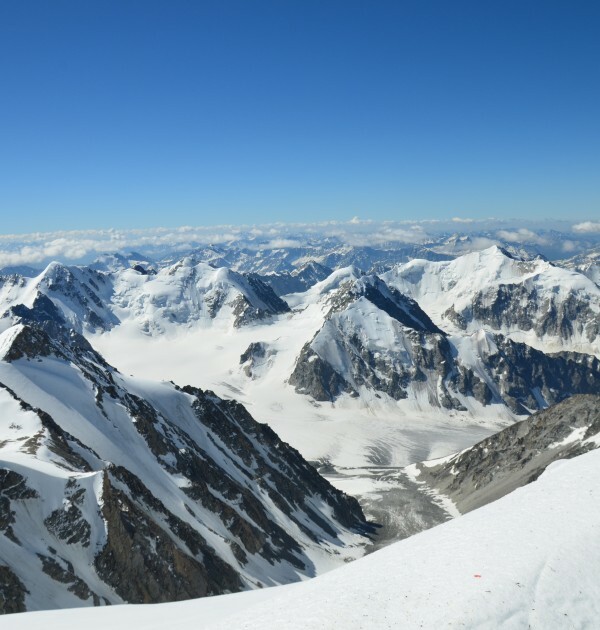 We fly to Ulaanbaatar and onwards to Olgii before a drive and short trek takes us to our base camp below these remote glaciated peaks that provide wonderful climbing in a rarely visited corner of the world. 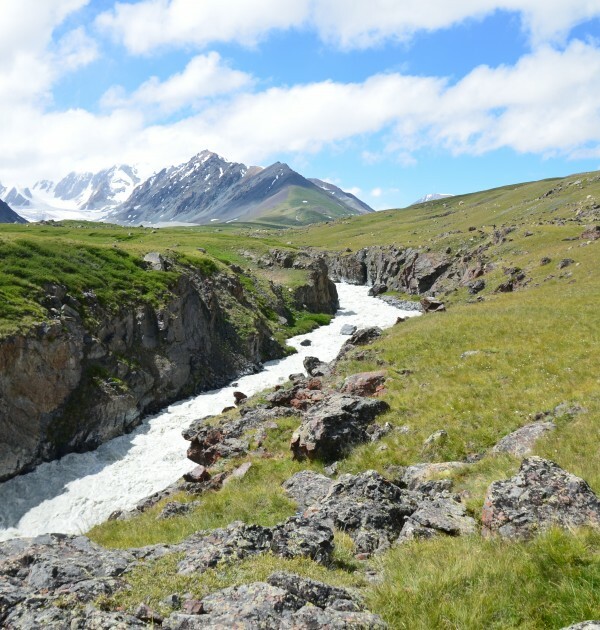 4 nights 4* Hotel accommodation in UB on a Bed & Breakfast basis (twin share). 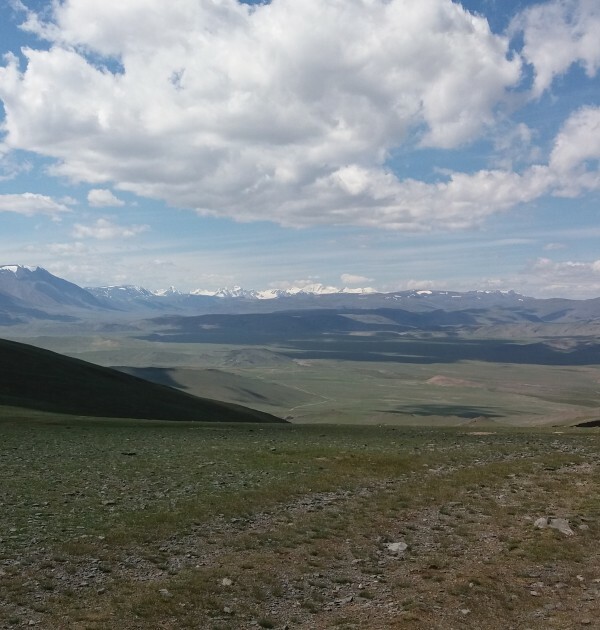 1 night local hotel accommodation in Olgii on a full board basis (twin share). 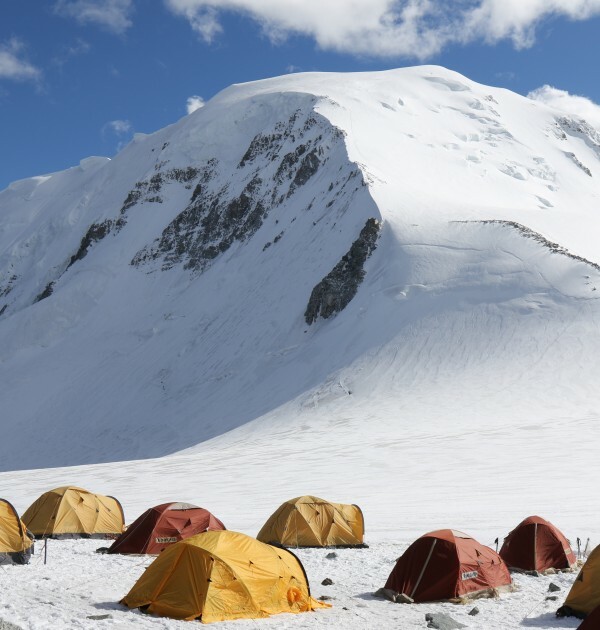 9 nights camping on a full board basis (twin share). 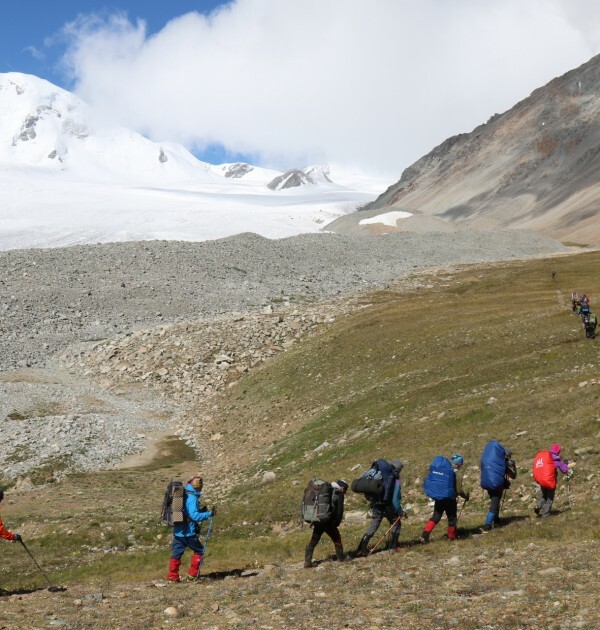 Porters for BC-ABC-BC section of the climb. 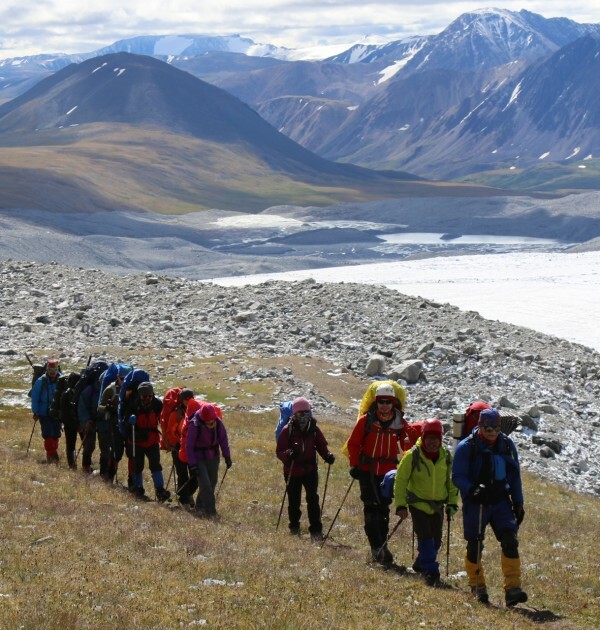 Camels and camel drivers to support the expedition. 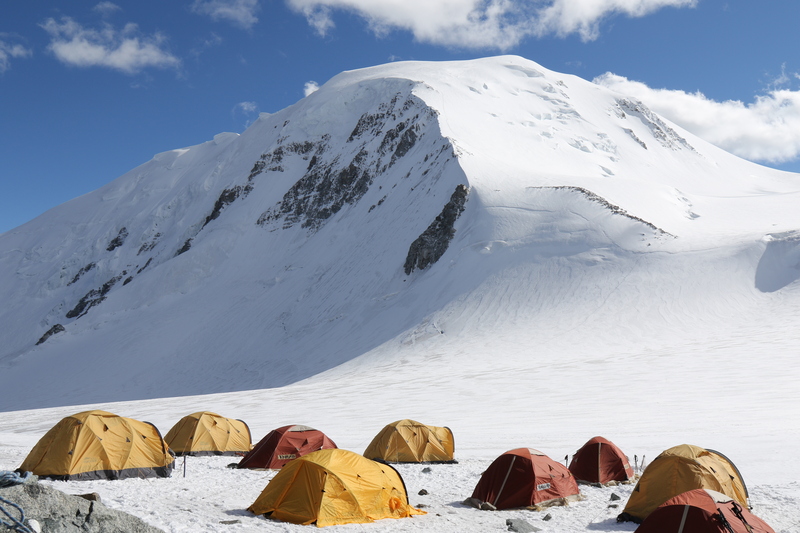 Single room and single tent supplements.